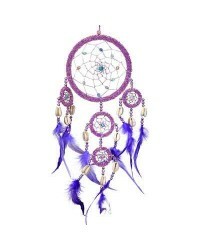 Legend says that if you hang a Dreamcatcher over your bed, it will capture the bad dreams in its web and let the good ones slip through the holes. 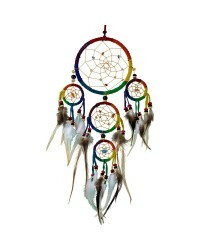 The legend says that if you hang a Dreamcatcher over your bed, it will capture the bad dreams in its web and let the good ones slip through the holes. Originating in Native American traditions, Dreamcatchers are a perfect gift for children or others suffering from bad dreams.